Latin America’s poorest slums and housing estates often lie at the margins of urban economies and social welfare systems as well as transport infrastructure. 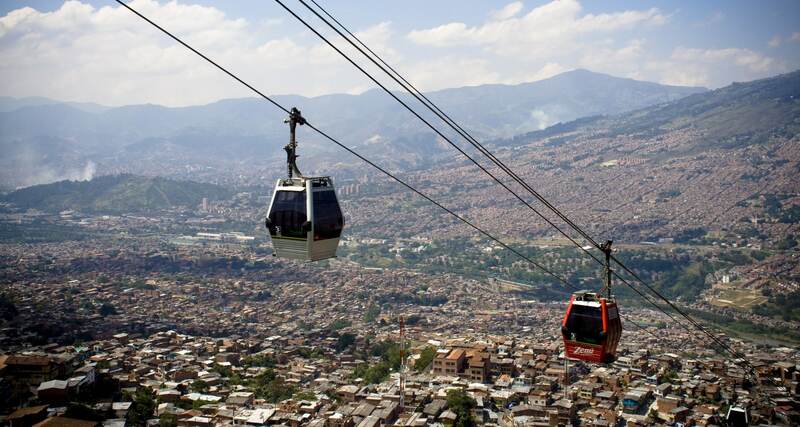 The government of Colombia’s second city, Medellín (which has a population of 2.34m), has focused on the latter in order to provide some prospect of improving the former. Of the city’s 600,000 housing units, around 77 percent are occupied by those living at the lowest socioeconomic levels. Expensive real estate in and around the city centre forces the great majority of these to live in informal neighbourhoods sited on Medellin’s steep mountainsides. 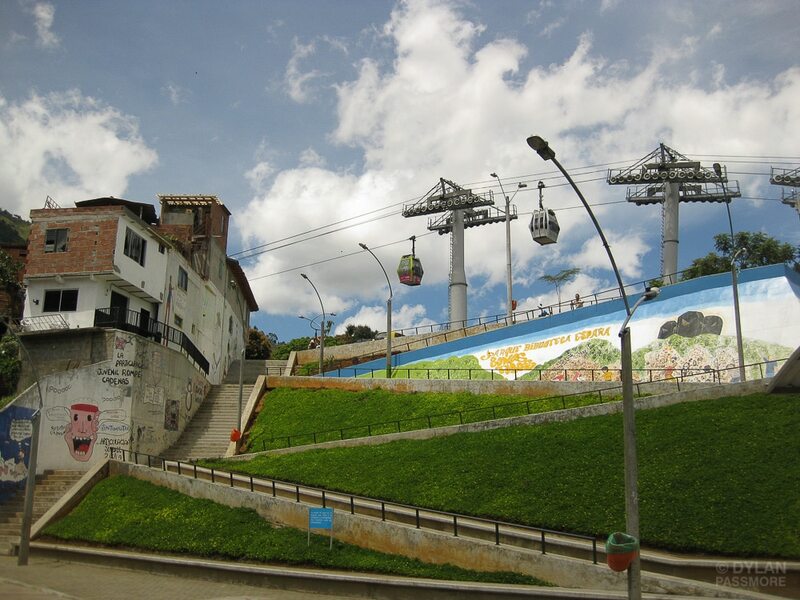 The Northeastern Urban Integration Project, launched in 2004, is a groundbreaking cable-car network that has, to date, linked three large informal settlements to the city centre and to the wider transport system; reducing travel times from an hour-plus to around ten minutes, the cable cars have drastically improved the lives of commuting workers, delivery service providers, the elderly and infirm and the community in general. 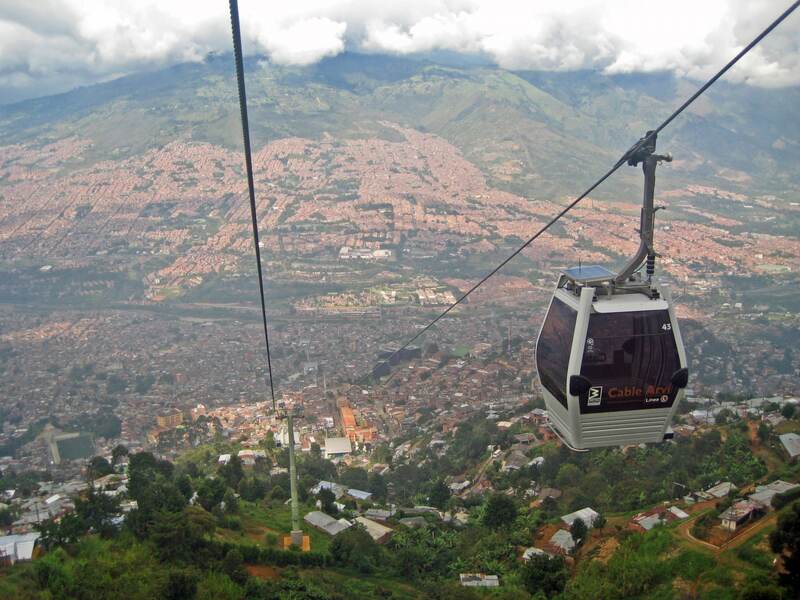 The modern gondolas are also better lit and far safer than the steep and poorly lit mountain roads and alleyways. In 2013, the NUIP was awarded the prestigious Veronica Rudge Green Prize in Urban Design for “improving the quality of life for approximately 170,000 residents experiencing severe social inequality, poverty, and violence.” It shared the prize with Metro do Porto of Portugal. Northeastern Urban Integration Project is No.6 on the Best Atlas projects 2015. Find out what else made the list here. Tags: Construction, Economy, Employment, Social inequality, Transport.